Description: This industrial-chic factory was built in 1866 and 1867, for the new premises of piano music publishers and piano manufacturers Chappell & Co. 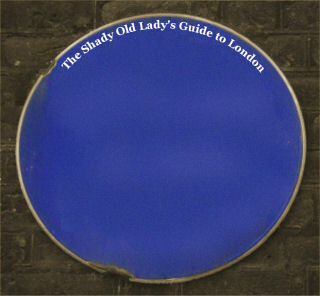 They had been founded in 1811 by Samuel Chappell and two leading pianists Francis Tatton Latour and John Baptist Cramer. They leant weight to Chappell's sales skills and selected the best instruments for his showroom in New Bond Street. 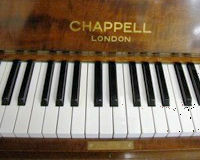 In the 1820s they were awarded the Royal Warrant and in 1840 Chappell's started producing their own pianos. They opened a factory in Phoenix Street, Soho, and after a short time Chappell pianos grew in popularity so they moved here and extended it over the years as they grew. The company counted amongst its clients some famous musicians including Beethoven, Strauss and Sibelius. In the 1881 census, the factory employed 109 men, 20 apprentices making a remarkable 12 pianos a week, with the figure to rise to 18 by 1890. The company's clients including Beethoven, Strauss and Sibelius. In the first World War the building became a munitions factory, and in the second World War an Air Ministry shadow factory, producing canopies and propellers for the famous Supermarine Spitfires. The factory continued but struggled to compete with cheaper manufacturers in the Far East and in 1970 Chappell & Co were bought by Phillips Electrical who closed the piano factory shortly afterwards.